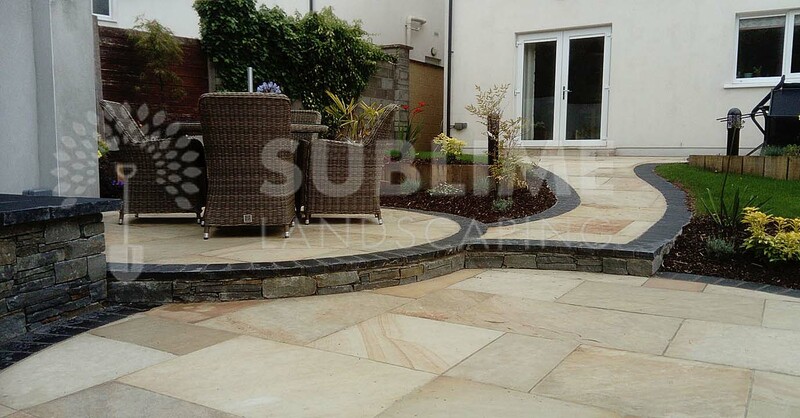 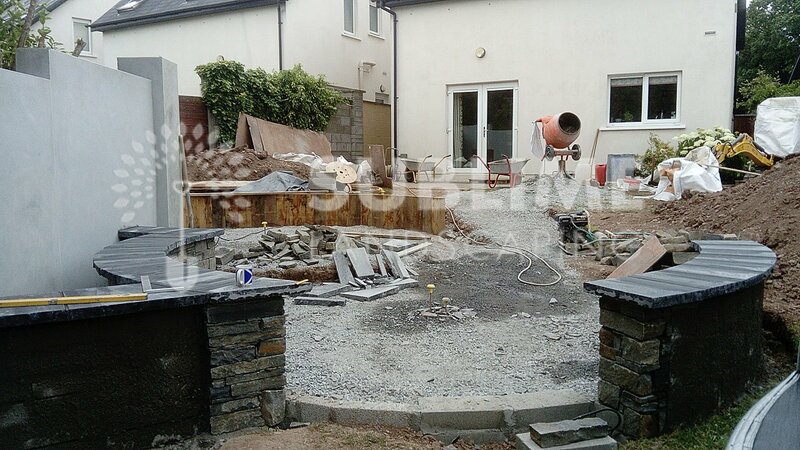 Indian sandstone patio paving and natural stone walls in Douglas, Cork, built by our skilled stone masons. 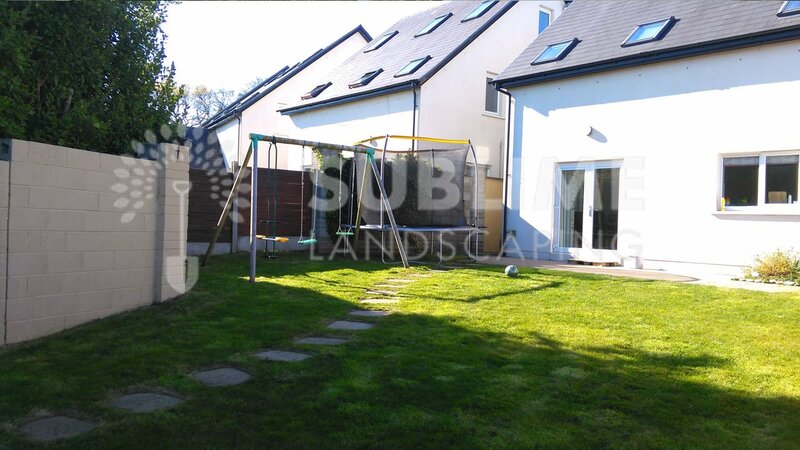 A gently sloped garden, Sublime Landscaping came up with a design consisting of two level circular patio areas that would maximize the post 5 o clock sun in the summer months. 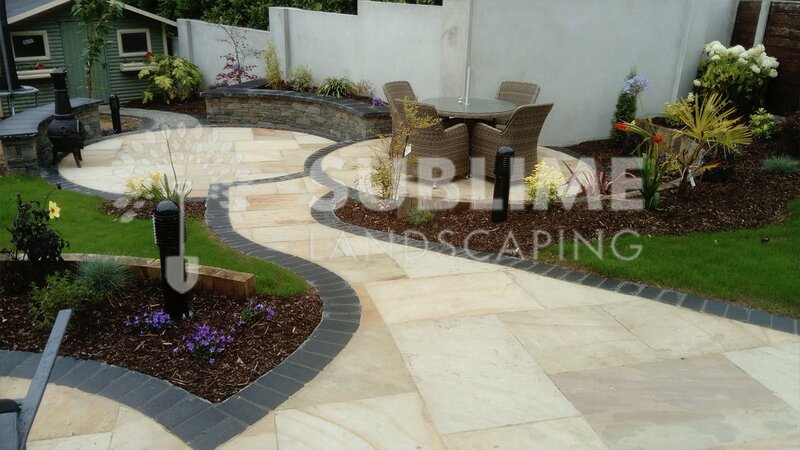 A combination of sandstone and quarts stonework gave a very warm colour scheme to the design Also as part of this project, there was some planted and mulched bedding and natural rolled out sod. 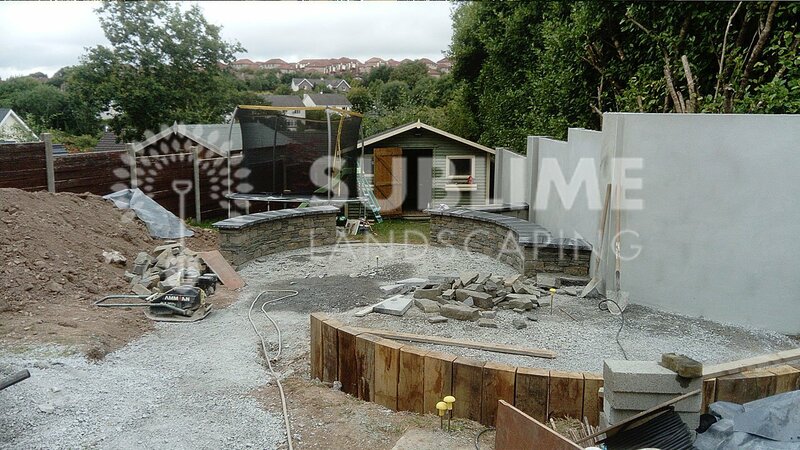 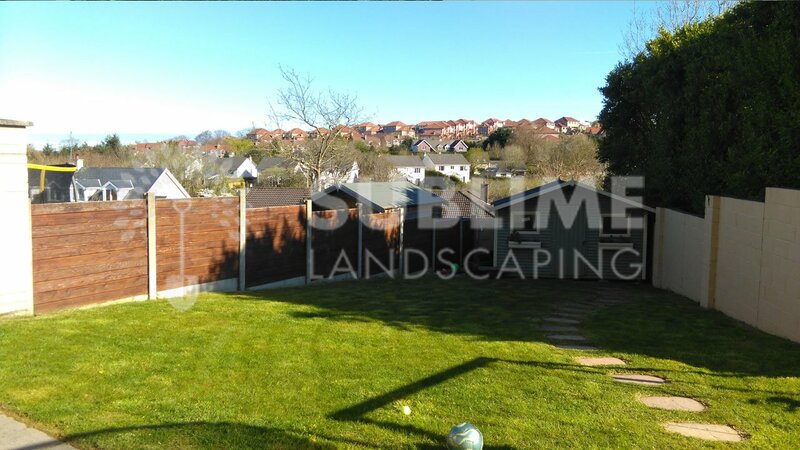 Sublime Landscaping also plastered some of the boundary walls to make the overall aesthetics of the garden smoother.